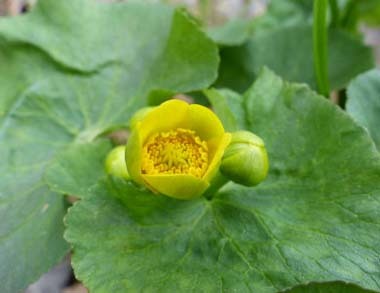 Marsh marigold is an herbaceous, rhizomatous perennial that is native in northern temperate regions. It can be found in wet, boggy soils and belongs to the buttercup (Ranunculaceae) family. They are a welcome site in the early dreary days of spring due to their bright yellow colour. The whole plant, especially the older parts contains the toxic glycoside protoanemonin which is destroyed by heat. 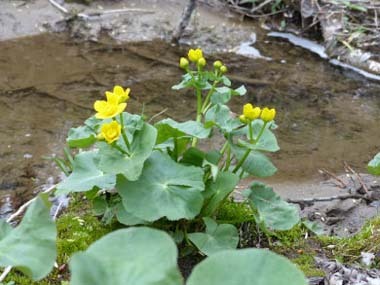 Distinguishing Features: Marsh marigold is one of the first signs of spring with its bright yellow flowers in wet soils. The flowers look like oversized buttercups and the stems branch, and they are limp and hollow. Upper stem leaves are smaller and stalkless. Flowers: The flowers typically bloom from May into August and they are yellow. They have five petals with rounded tips and it has many stamens and pistils. Flowers are typically 1.5 to 5cm (.6 to 2”) in width. 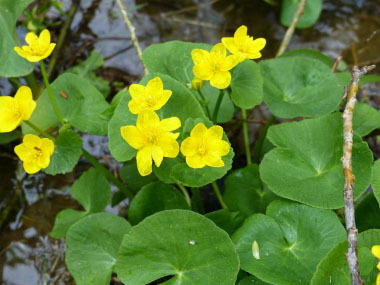 Fields of Nutrition has medicinal benefits and vitamin/mineral content of Marsh Marigold. Leaves: Alternate, stipulate, basal leaves long-stalked, stem leaves short-stalked. 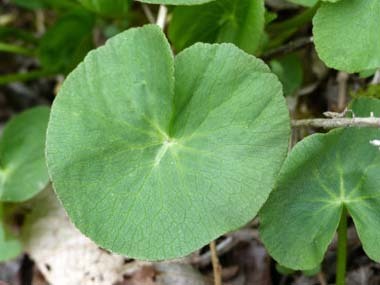 Blade roundish–kidney-shaped, with crenate–shallowly toothed margins and palmate venation, glabrous, usually thick, sometimes thin. 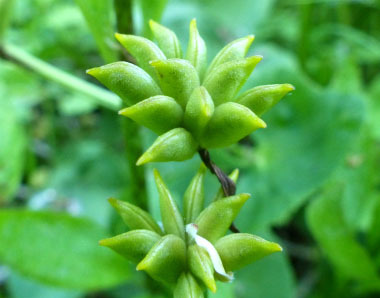 Stipules surround stem like a sheath. 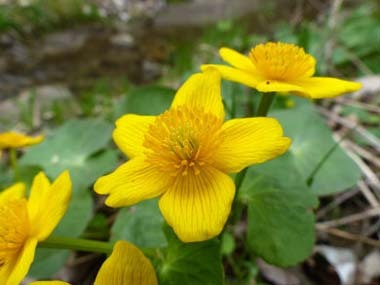 Height: Marsh marigolds grow to a height anywhere between 15 and 50cm (6- 18” approx.) It generally spreads the same width as its height. Habitat: This is a plant that can be found in wet areas, mostly in marshes and swamp areas that get part or full sun. They can also be found in ditches, ponds, springs, and anywhere that is prone to flooding. 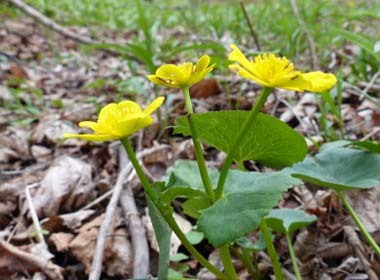 Marsh marigolds can be found all across Canada, the northeast, central, and west coast of the U.S., Australia, South America and in the East Indian archipelago. Edible parts: NEVER EAT RAW! Flower buds can be cooked then pickled for use as a caper substitute. Young leaves can be cooked and put into any meal in which greens can be added (i.e. lasagna). Root can be cooked as well.